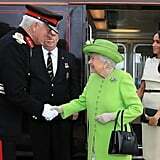 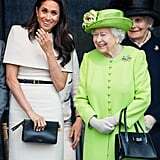 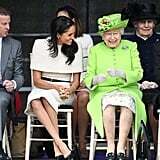 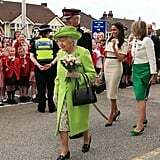 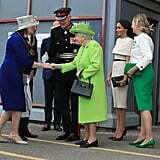 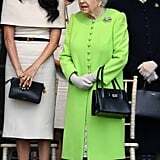 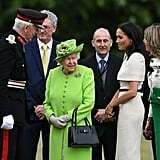 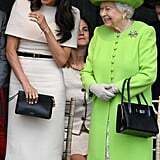 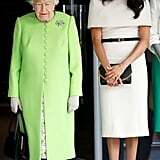 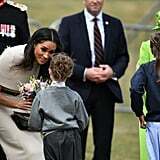 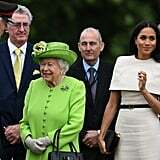 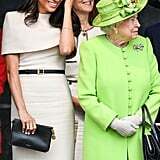 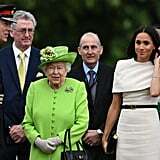 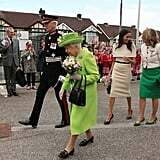 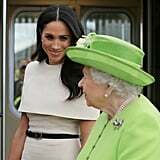 On June 14, Meghan Markle traveled 200 miles north of London with Queen Elizabeth II for a visit to Cheshire. 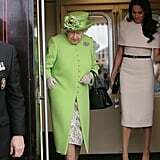 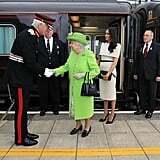 This was a big step for the Duchess of Sussex, as most members of the royal family have never been invited to travel on the train with the queen — and she of course chose the most perfect outfit. 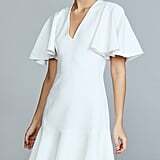 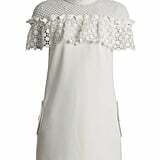 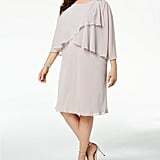 For the special occasion, Meghan turned to her wedding dress designer and opted for an elegant Givenchy dress which featured a cape top. 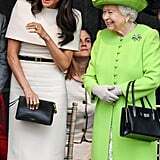 She simply accessorized her outfit with a chic black and gold belt and a matching clutch, pearl earrings, Sarah Flint pumps, and the all-important tights. 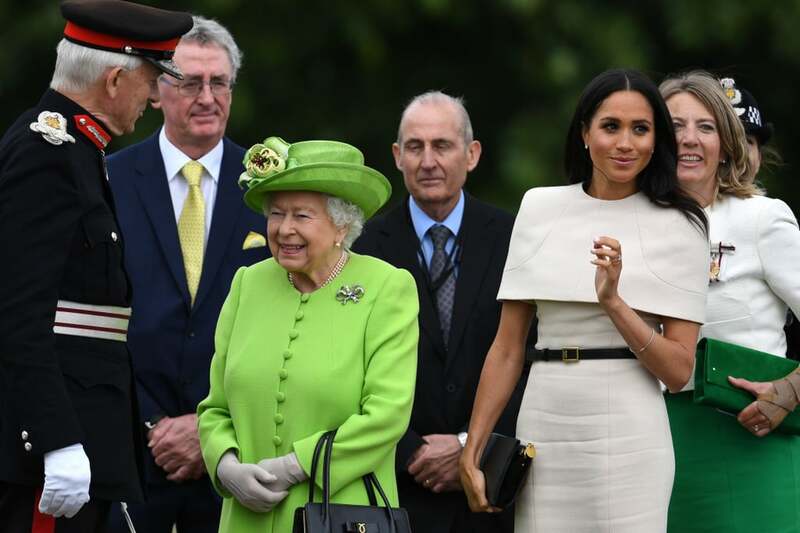 Meghan's style is quickly becoming one of the most talked about subjects of the year. 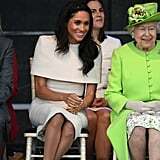 As she is coming to grips with the protocol, the duchess has also been fine-tuning her royal wardrobe — and she's been taking our breath away, one dress at a time. 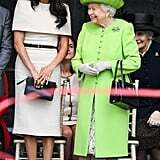 Read on to get a closer look at her Givenchy ensemble, then shop similar dresses for yourself.